Some people collect art, while others dedicate their time and funds to collecting some of the world’s finest and rarest cars. Discover which avid car collectors have some of the world’s most sought-after and valuable garages. With a total net worth of more than $20 billion USD, Hassanal Bolkiah has one of the largest private car collections in the world. The Sultan has been able to inspire multiple car manufacturers to design a range of bespoke limited-edition concept cars: such as the Bentley Java and the Ferrari Mythos. Some estimate that the Sultan’s garage is home to more than 5,000 rare and limited-edition sports cars and has different sections dedicated to feature certain brands. In the Sultan’s garage, reports claim you will find more than 300 Ferraris, 11 McLaren F1’s, and about 600 Rolls Royce, and that’s just the tip of the iceberg! Sheik Hamad Bin Hamdan Al Nahyan is more popularly known as ‘The Rainbow Sheik’, because he owns a Mercedes S-Class in every colour of the rainbow. The Rainbow Sheik can afford his car obsession because he is a member of Abu Dhabi’s ruling family. Besides his colourful collection of Mercedes S-Classes, the Sheik’s garage is also full of golf buggies, original Lamborghini prototypes, Jeeps, military vehicles, sports cars, and even Cadillacs. The most notable vehicle in his collection is his gigantic Dodge Power Wagon that is 64 times larger than the original model. The unique thing about the Rainbow Sheik’s personal car collection is that he stores his vehicles in a pyramid-shaped garage that is open to the public. The polo shirt is what first comes to mind when you think about Ralph Lauren, but did you know that he has one of the finest car collections in the world? Ralph Lauren’s success in the fashion industry has helped him amass a garage full of vehicles that most of us can only dream about. 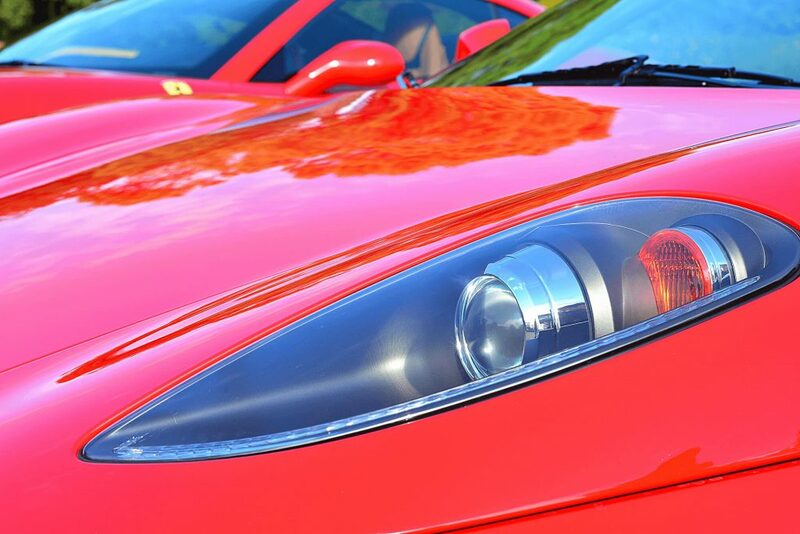 Amongst his car collection, which is 98 percent red in colour, you will find a vast range of Alfa Romeos, Bugatti’s, Bentleys, McLaren F1s, Jaguars, and Ferraris. Former host of the Tonight Show, Jay Leno has also long been known to have one of the biggest collections of rare and antique vehicles. Leno’s collection includes a 1934 Rolls Royce Phantom II and a highly sought after 1925 Hispano-Suiza. With almost 300 vehicles in his garage, Jay Leno’s collection of ultra-rare finds has an estimated net worth of more than $350 million USD. Not only the creator of one of the most popular TV shows ever made, Jerry Seinfeld is also the creator of one of the most valuable car collections in the world. Jerry stores all his cars in a garage located in Manhattan. The garage is valued at more than $1.4M USD and houses his cars across 3 levels of storage space. You can get a glimpse at some of the cars in his collection by watching his award-winning series ‘Comedians in Cars Getting Coffee’ where he takes a comedian friend out for a spin and they converse over coffee and food.